These are all true questions they have been asked. I did a blog post a while back on the questions and comments my husband and I get titled "Things People Say." 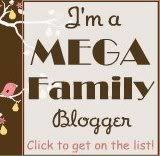 Nice post, I appreciated over read your weblog publish. Your blog have excellence figures, I were given right ideas from this outstanding blog. I am always looking like this kind weblog bring out. I’m hopeful I will see again.